Hello everyone, so i have been exclusively MIA as i have a new personal project i have been working on which is really taking up most if not all of my time but I've been so excited to write a post about these little gems i received from BooTea about 3weeks ago! I have heard so much about this Bootea that has raved so much on social media and by so many celebrities. 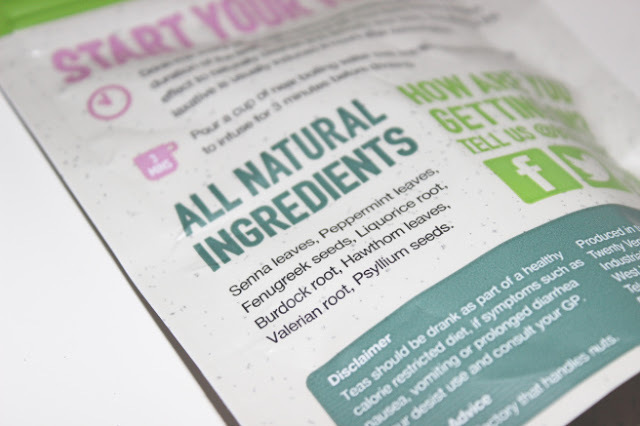 This teatox claims to perform a ‘perform a much needed, intensive cleanse of your digestive system to help achieve the results you want’ and a result of this can be weight loss. On hearing the reviews on these products, I couldn't wait to try it out! 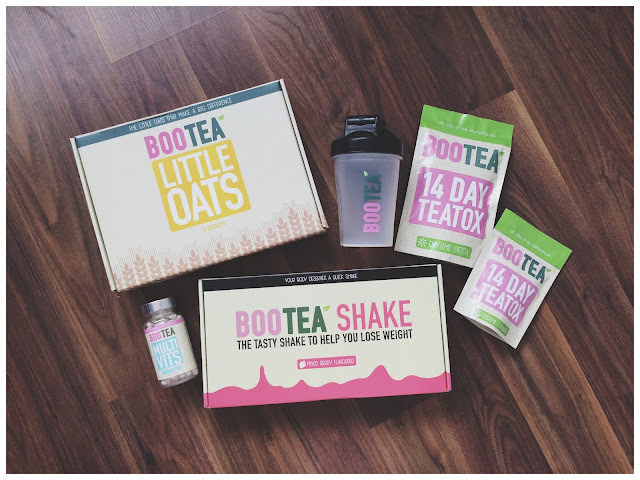 So I received the Bootea bundle which includes 'BooTea Little Oats', 'BooTea Shake', 'BooTea Multi-Vits', 'BooTea 14 day & night teatox' and 'BooTea Shaker'. The teatox comes with two different teas; the daytime tea that you drink every morning and the nighttime tea that you drink every other night. The daytime tea has a lemon grass taste which is not the nicest at first, but you do get used to it. The nighttime tea has my favourite taste, very pepperminty and calming. The bedtime Cleanse has a light laxative effect to remove excess toxins and waste from the body. *Warning* If you would be going out earlier than 8hours after using the bedtime cleanse then please skip it as it's laxative effect would make you rush to the bathroom very often the next day. It's called a "cleanse" because it will "cleanse your colon out" - which is in fact a GOOD thing. I found the cleansing effect to be quite effective for those looking to loose weight. The "cleanse" happens usually the next morning and it happens 2-4 times before lunch. 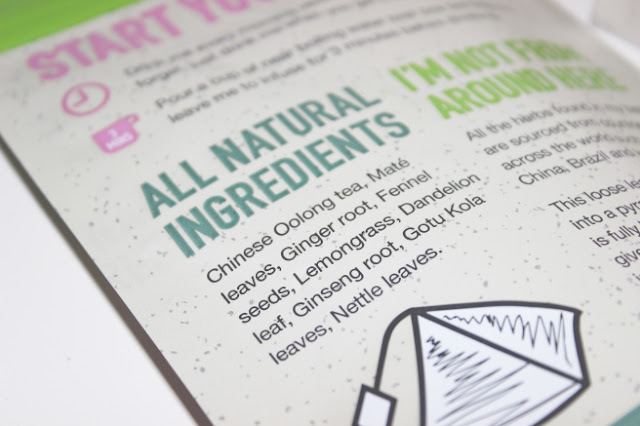 What's in the Bootea tea? The Daytime Detox (morning tea) contains Chinese Oolong tea, maté leaves, ginger root, fennel seeds, lemongrass, dandelion leaf, ginseng root, Gotu Kola leaves and nettle leaves as well as a touch of caffeine to leave you feeling motivated to hit the gym that day. The Bedtime Cleanse (colon cleansing) contains senna leaves, peppermint leaves, fenugreek seeds, liquorice root, burdock root, hawthorn leaves, valerian root and psyllium seeds and will most likely induce a laxative effect to naturally cleanse and detoxify your body (more on that later). 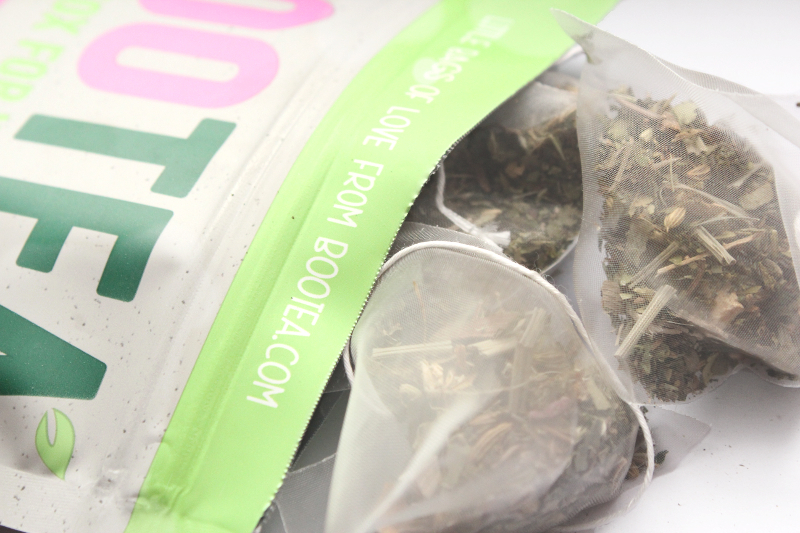 The packaging of the teatox is so lovely, the sealed bags are cutely and practically packaged. Inside, the tea is packaged in luxury-looking silk teabags with the ingredients inside. It’s very convenient as many teatoxes just come with loose leaves which can be a hassle. 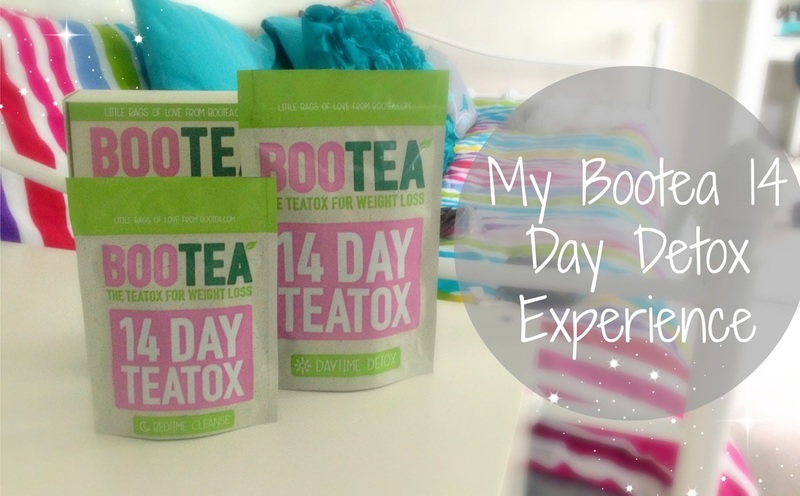 Now do Bootea really work?? To put it straight, YES IT DOES! During my 14 day detox, i did notice a significant change in the way i feel, i felt alot lighter and I felt great! and yes i lost a massive 13kg in about TWO weeks although i do slice in some lemon to my tea and always drink it hot.... i guess this helped with the weight loss as well even though i wasn't really looking to loose weight but am glad i did. I really really recommend the Bootea teatox if you want a helping hand regarding your weightloss journey and/or want to feel healthier in yourself and give your body a good detox!